We are also one of the largest manufacturers of Ceiling antennas which are used for VPN and local wireless communications. These antennas can work in indoor condition and can deliver consistent performance always. Our product range includes Ceiling antennas for frequency range of 800 – 2500MHz, 2.4GHz WIFI & 5GHz WIFI. 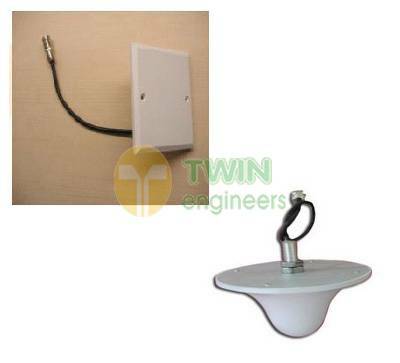 APPLICATION: We also manufacture Indoor Ceiling Antenna which is used to receive and send Wi-Fi signals. These equipments are widely used in official and commercial complexes where local network is installed. These antennas have better reception feature. These are manufactured from quality raw materials and can withstand all type of indoor conditions.